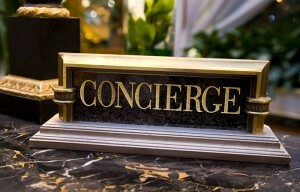 BarbadosBarbados.com offers all of its clients a personalised and complimentary Concierge and Trip Planning Service. Let us take care of all your holiday travel plans, from villa rental and car hire, to dining recommendations. We will arrange a private taxi to meet you at the airport and take you to your hotel or villa. Or, for VIP travel assistance, book our Five Star Fast Track Arrival Service to accompany you through Immigration and Customs and outside to your waiting car or taxi. For those non-English speaking visitors we offer a language interpreter. When you are settled and ready to explore the island, allow us to arrange island tours and dinner reservations, making recommendations according to your preferences. Interested in a private sailing trip, learning to surf or scuba dive? Or visit some of our popular island attractions? Our complimentary Concierge Service lends a personal touch to your vacation; we don’t repeat guidebook material, but offer honest opinions on Barbados restaurants, shops, and services based upon our personal experience and extensive network of insiders. Contact us to find out more about our Concierge and Trip Planning Service and how we can help you plan your vacation in Barbados.